Successfully Added Android 4.4 Smartphone 'Scribble II' - 5.7 Inch IPS Display, MTK6582 Quad Core1.3GHz CPU, 3G (Pink) to your Shopping Cart. 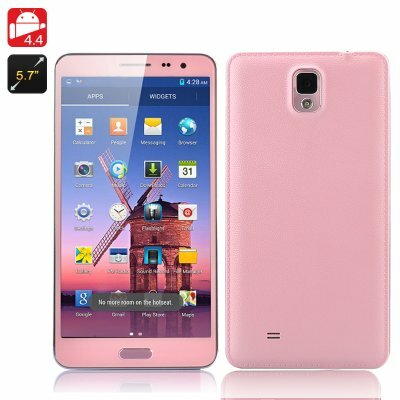 This is the ‘Scribble II’ cell phone, and it is just as reliable and packed with features like its predecessor however it now comes with the modern Android 4.4 KitkKat operating system. KitKat has been designed to run on devices with as little as 512MB of RAM, however the Scribble II has a mega 2GB of RAM. Google has implemented behind-the-scenes improvements to Android 4.4′s memory management, and has provided developers and OEM manufacturers with tools and options to take advantage of these improvements and the Scribble II certainly has. These memory improvements have lead to smoother multi-tasking as well, plus with this phone’s MTK6582 quad core processor, you will certainly notice the difference. With Android 4.4 you can now make old Android messaging app is a thing of the past. As an alternative, Google Hangouts now supports SMS and MMS; therefore all your messages will be in the same app. 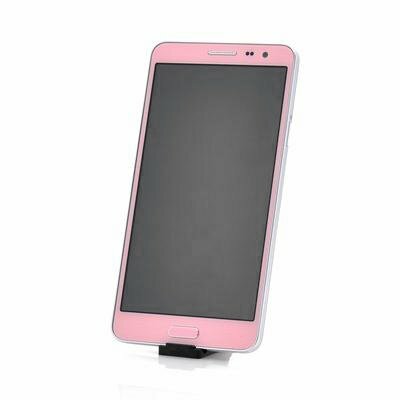 The ‘Scribble II’ pink phone has an exceptional 5.7 inch display that has in-screen panel switching technology implemented into the design, which involves arranging and switching the molecules of the liquid crystal layer between the glass substrates. Media lovers will enjoys watching and interacting with this quad core smartphone as it has 720p resolution at 258 PPI (Pixels Per Inch), meaning when you stream off YouTube or directly watching AVI files, you will be able to view them in full clarity. Snap a photo with the 8 megapixel rear camera and save it onto the phone’s 8GB of internal memory or instead use the micro SD port to add up to 32GB of additional storage space. VERY GOOD ITEM MY DOUGHTER IS VERY HAPPY !!!! THANK YOU !! !